Three intrepid, young Kiwis have entered a demanding 3,500 kilometre rickshaw race across India to raise funds for Farmstrong. They are Nikki Brown, Natalie Lindsay and Gina McKenzie. Natalie tells us all about what they will be doing and why they are raising funds for Farmstrong. From 14 April for 2 weeks we are going to be crammed inside a 7-horsepower, motorised ‘tuk-tuk’ (top speed 50k downhill) with 80 other teams competing in 40 degree heat, dust and the free-for-all of Indian traffic. Apparently we are one of only three all-female teams. We have been told the race is not for the fainthearted. The organisers of the race advise that it’s easily the least sensible thing to do with your time off. They reckon the only certainty is that you will get lost, get stuck and break down. 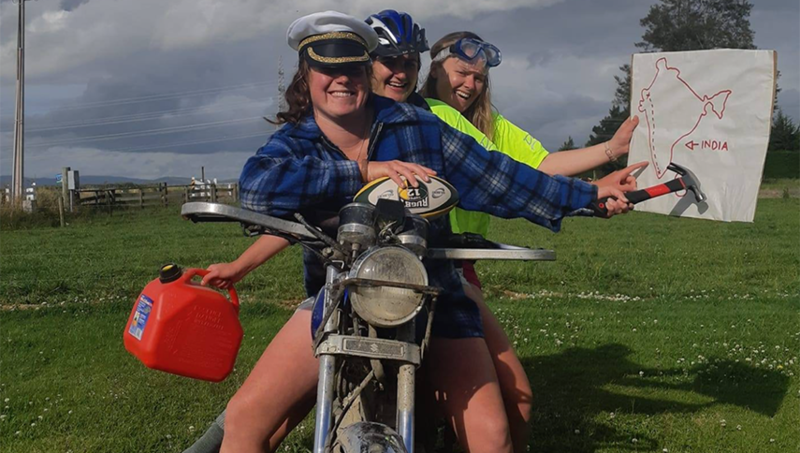 Not only will we be battling marginal road surfaces and the aftermath of strong curries, we are racing other teams to raise funds for and awareness about mental health and wellbeing in New Zealand’s rural communities. All three of us hail from the paddocks of New Zealand’s most luscious, fertile farming region—the mighty Southland—and are familiar with the challenges of farming. 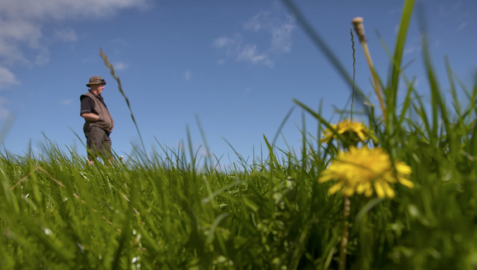 We know the toll that farming’s isolation, stress and unpredictability can take on mental health. But people often don’t talk about it. And the less people talk about these things, the harder it is for anyone having issues to be open. We want to get people talking about this stuff and the race is a great conversation starter. Lots of farmers are already showing their support. Nikki works for a farm consultancy in Invercargill so sees the pressure farmers face every day to make the right decisions about feed, fertilizer and budgeting. There’s a lot to get right. That’s why rural people have got to look out for one another. Gina works on a 700-cow dairy farm in Otautau, Southland with four staff so life gets pretty busy for her. Gina loves working outside, being with animals and really enjoys calving season, but she is well aware that people do get really stressed in our industry. They can get isolated and so focused on goals, that they don’t look after themselves. They might not take breaks or eat properly or get enough sleep. It can really snowball and fixing it can become a big thing. I work in the production side of the industry on dairy plant installations and upgrades in the Waikato. I grew up around farming and always wanted to work on the processing side turning raw product into something usable and productive. We chose Farmstrong for our charity, faster than cows approaching a new swede break, because we like how Farmstrong resources feature real farmers talking about real issues, such as burnout. It’s relatable, it’s what you see every day on the farm and it’s about normalizing that. That’s the challenge—to make talking in the pub about stress as normal as talking about the weather. Discussing people’s wellbeing on farm should be as important as how much rain they’ve had or how the lambing beat is going. Stress is a lot more common than you think, even amongst people our age. Everyone goes through patches where they’re not doing too well. If you start talking to people in farming about it, they relate to you at once. It’s about making it easier for people under the pump to speak up and making sure other people are approachable. If climbing into a tuk-tuk in India helps make that happen, then it’s a win-win for us all. Rural communities are very supportive, but people need to get off the farm and join in local activities and events. Gina is great, she makes a real effort to play netball and rugby in winter and she goes to calving events, so she can catch up with people and socialise. We all know that keeping well is making sure you get off the farm regularly. Thanks Natalie. Good luck to the team. We will be watching the race and supporting you along the way. The Rickshaw Run starts in Jaisalmer on 14 April and ends in Cochin. Nikki, Natalie and Gina—‘the three Kiwi lasses’—have a Givealittle crowd funding page, which you can donate to. You can also follow their daily adventures on Facebook. Farmstrong is a rural wellbeing programme that helps farmers and farming families live well to farm well. To find out what works for you and ‘lock it in’, check out our farmer-to-farmer videos, stories and tips. Or take the wellbeing checklist to see where your own wellbeing is at.